Posted on October 4, 2018 at 6:12 am. We begin today with WOLF PACK PRIDE! After numerous rain delays, the WMS tennis team finally played its first match of the year against Kenmore Middle School on Tuesday — and it was worth the wait. Your Williamsburg Wolves absolutely DOMINATED the competition and notched a big team victory. Great performances from Elleni G., Jacklynka S., Clayton F., Jimmy C., Tayler C., Sujee R., and Jayleigh F. Way to go, tennis wolves!! [clap]. The tennis team is back in action TODAY with a match against Jefferson Middle School. Players are reminded to meet at the bus loop after school for the ride over. Good luck, team! LAST CALL for PE swag! Time’s almost up to order your WMS Hoodies, Sweatpants, or Long Sleeved T-Shirts! Order forms must be turned-in TODAY to your Health or PE teacher. Don’t get left out in the cold — order your Fall PE gear today, and Be a Part of the Pride! Listen up, ballers! If you might be interested in tryout out for the girls basketball team this year, then come to the “open gym session” TODAY during ASP 1 in the WMS gym. Work on your skills, meet other players, and get some one-on-one instruction with the coach! The complete open gym session schedule is posted by the cafeteria. See Ms. Sutphin with any questions. Attention WMS MUNners! The Model UN club will meet TODAY during ASP 1 in room 202. Participants are reminded to bring their Fall Commitment Form for the upcoming HAMUN conference. See Mr. Carlson with any questions. Calling all siblings, twins, and triplets! The WMS Yearbook is featuring a special SIBLING section in this year’s publication. If you’d like to be included, all WMS siblings are invited to get their pictures taken this FRIDAY during WOLF TIME in room 137. See Ms. Kontos with any questions — and say CHEESE! 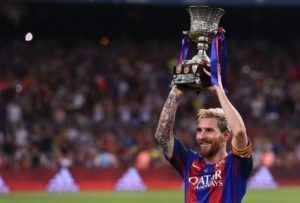 For today’s Champion, I’ve just got one word for you: MESSI. 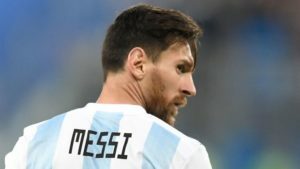 This Argentine football player — or SOCCER for all you Anglos out there — is widely considered to be one of the best players of ALL TIME. 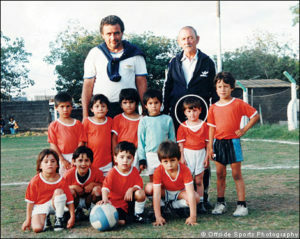 Born in 1987, Lionel Messi was actually a sickly child and prone to injury. In fact, when he was just 13 years old his family moved from Argentina to Spain in order to get him better medical treatment. And I guess those medical treatments worked, because just a few years later at the age of 17 he made his professional debut with Barcelona. 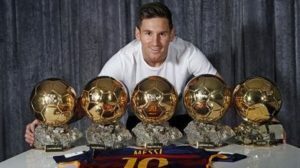 And over the next decade, he won virtually EVERY award you could imagine — including team championship, an Olympic gold medal, multiple Golden Ball Awards, Player of the Year, and he racked up dozens of career records along the way. 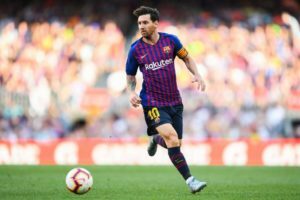 Messi has helped to inspire an entire generation of young soccer players. But his impact goes beyond the playing field. 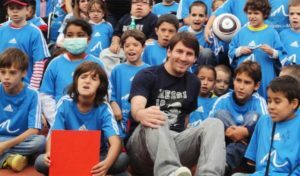 Messi is also a committed philanthropist — raising millions of dollars to help underprivileged kids. His efforts truly make him a CHAMPION OF CHANGE! !